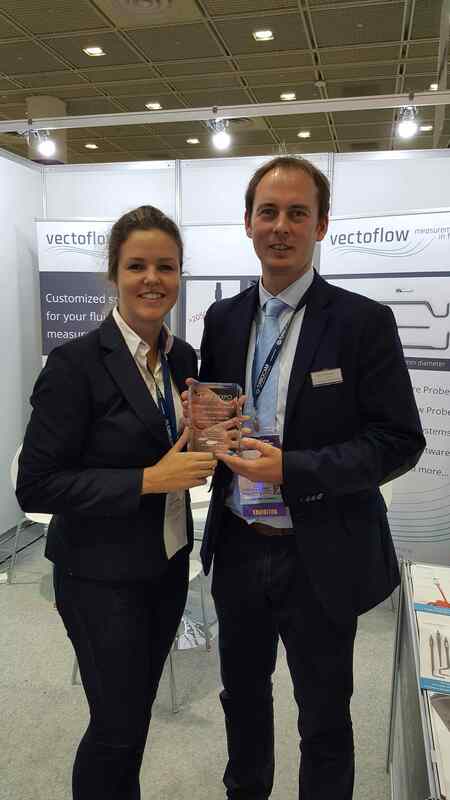 Vectoflow presented their products at the ASME Turbo Expo 2016. 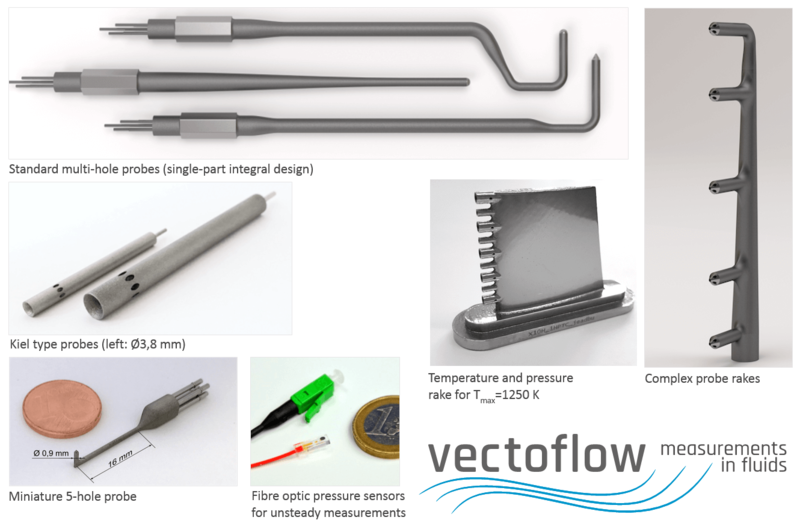 Dr. Christian Haigermoser and Katharina Kreitz showed the participants of the event the whole Vectoflow portfolio of flow probes and measurement systems, including the miniature 5-hole probe with a tip diameter of 0.9mm and the ceramic 3D-printed 5-hole probe able to withstand temperatures up to 2050 K. The resonance of all the visitors extremely positive. 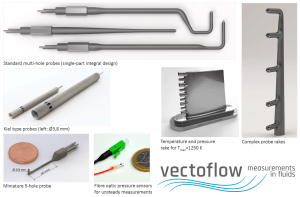 The visitors confirmed the advantages of the Vectoflow probes, which is a very high geometric flexibility combined with an extremely good mechanical robustness. This is exactly what is required in turbomachinery testing. The highlights of the presented probes are shown in the first picture below. 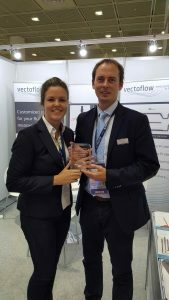 The Vectoflow team also received the Best Small Booth Award, see second picture.